Bacon Wrapped California Omelette Bites | Stahancyk, Kent & Hook P.C. 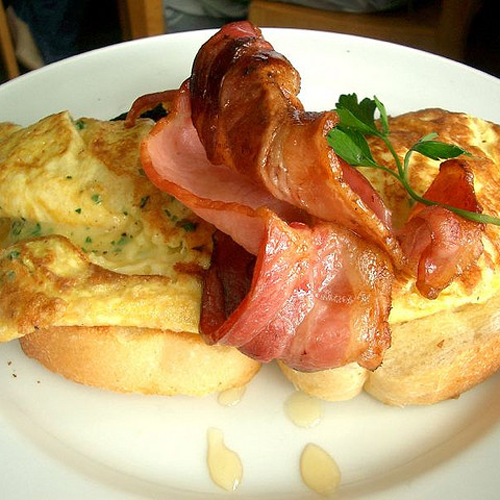 Stock image of bacon omelette. 2. Cook the bacon in a pan over medium heat just until it’s cooked through, but not crispy, about 5 minutes. 3. Spray a muffin tin with non-stick cooking spray and place one piece of the bacon in each tin, wrapping it around the outer edges. 6. Top with diced avocado and eat, or refrigerate.